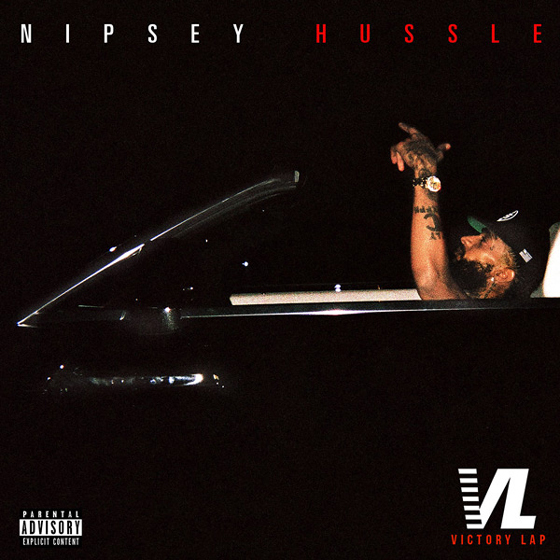 Nipsey Hussle's studio debut was beginning to feel like a myth; he's been promoting Victory Lap for at least six years. Despite numerous delays though, the album's timing feels just right; it's both a full-circle moment and a starting point for the L.A. rapper. The album's roughest spots are mostly loaded up front. The title track is teeming with melodrama, and while the first handful of songs have a deeply satisfying G-funk feel, Hussle's stale cadence simply isn't entertaining enough to latch on to. It picks up, though. "Blue Laces 2" is a testament to Hussle's growth. In every way, it's a more mature, polished version of the 2010 prequel that will delight longtime fans. Hussle does some soul-searching on "Loaded Bases" and, with help from Cee-Lo and producers Mike & Keys, pulls it off perfectly; it's solemn and earnest, but not artificially deep. Dark and ambitious, "Hussle & Motivate" is the cynosure of the album. Not many would (nor should) dare to touch Jay-Z's "Hard Knock Life," but Hussle rises to the challenge and expertly leaves his signature on the iconic hood anthem.